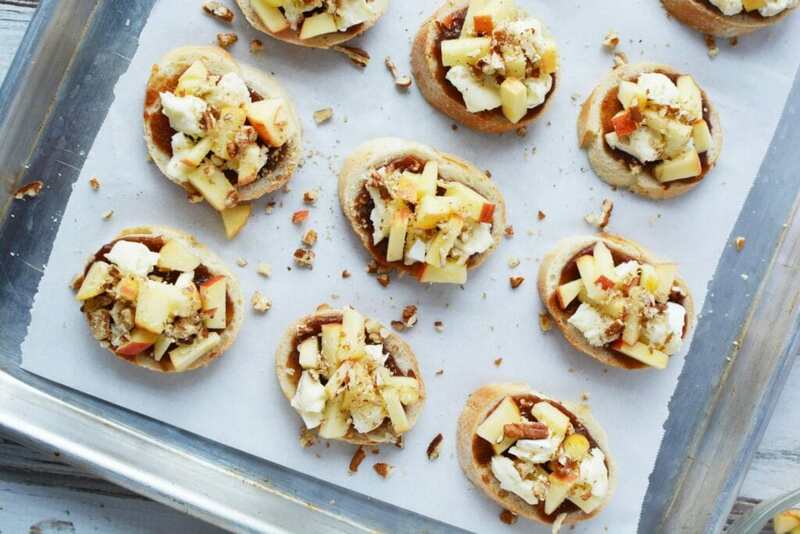 Are you hosting a party this holiday season for friends? 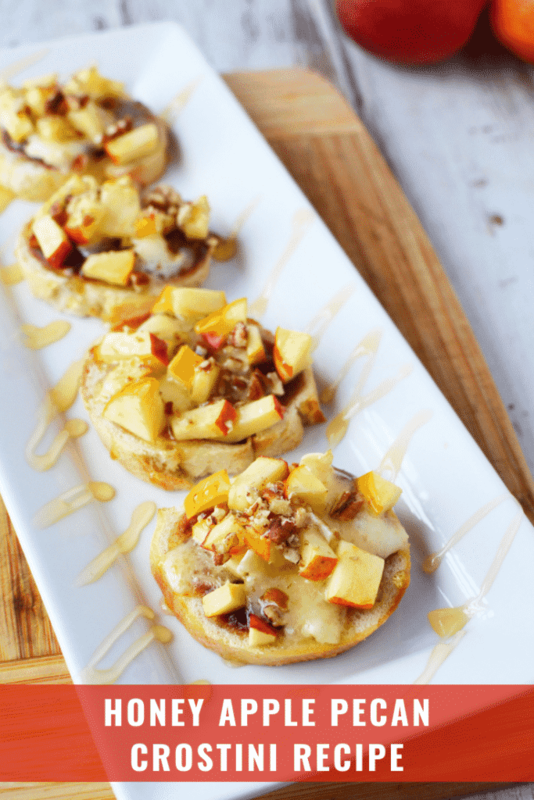 Looking for an appetizer that will WOW your guests and have them begging for seconds? 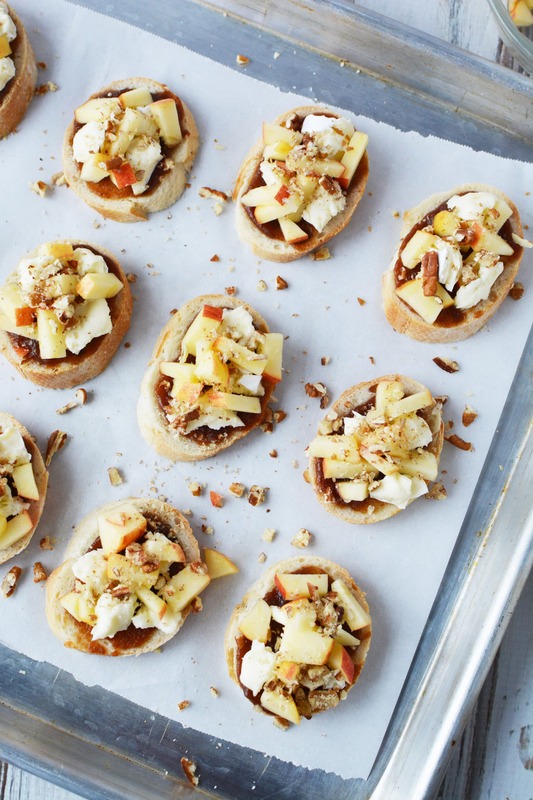 BUT don’t want to spend a ton of time prepping in the kitchen? Here is a really quick solution for you that packs a lot of punch when it comes to flavor. 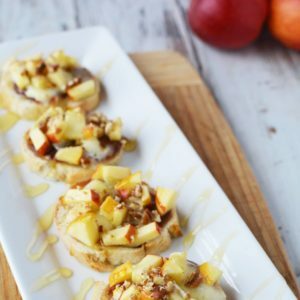 Every bite of this Honey Apple Pecan Crostini recipe has everything that you need – sweet, savory, and a whole lot of CRUNCH. I mean just the name alone – Honey Apple Pecan Crostini – is enough to make my mouth water. YES to all of those flavors! YES!!! There’s even cheese in the mix even though it’s technically not part of the title. OH SO GOOD. 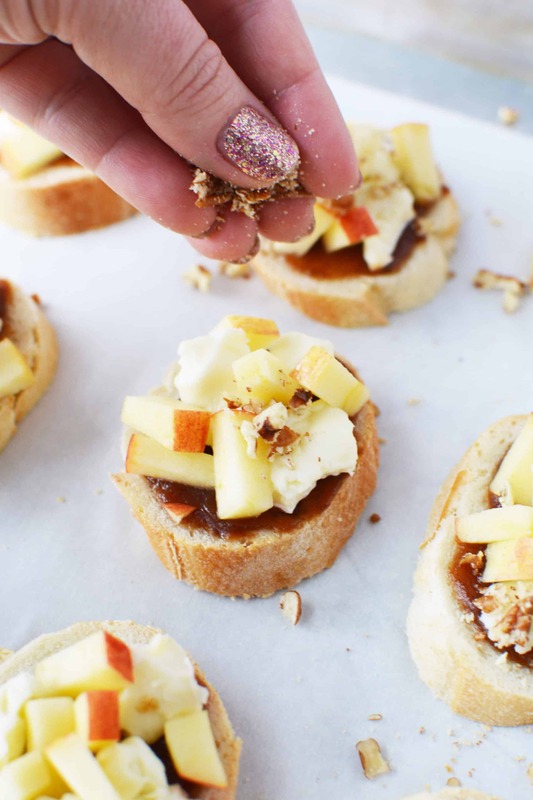 The hardest part of this recipe is slicing the apples. But once you get into a groove, you will shred through those puppies in no time! In a small bowl, combine apples and lemon juice. Mix well. 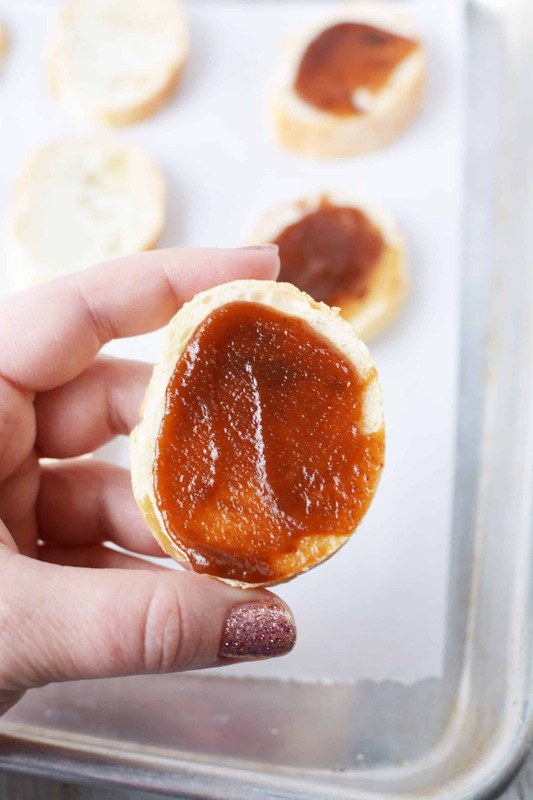 Add bread and top with a generous amount of apple butter. Break apart cheese and add on top of butter. Sprinkle with chopped apples and pecans. 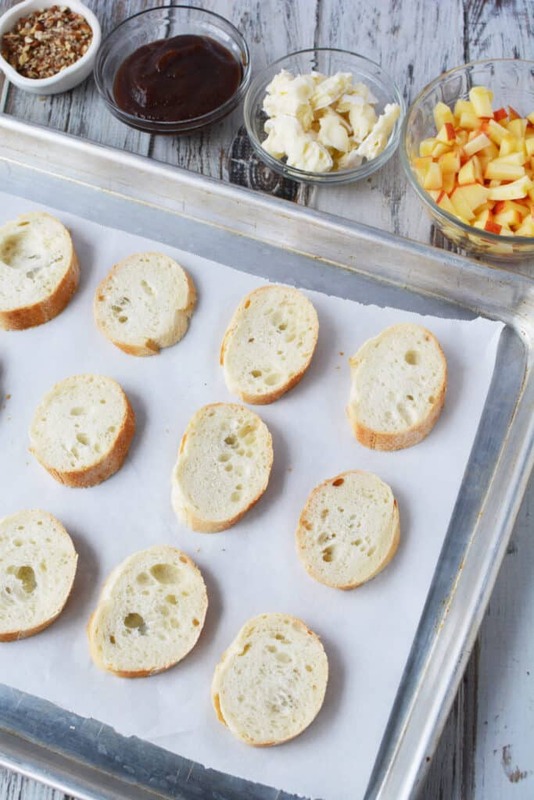 Bake for 5-7 minutes or until cheese is melted. 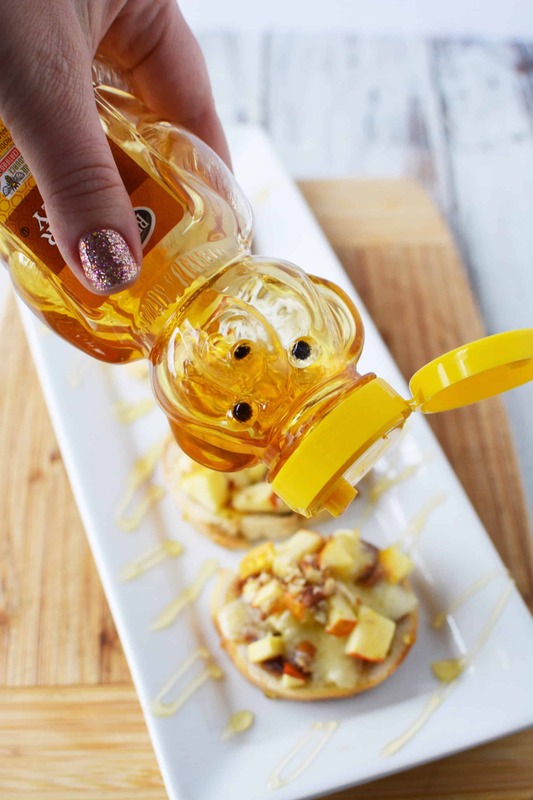 Drizzle with honey and serve. 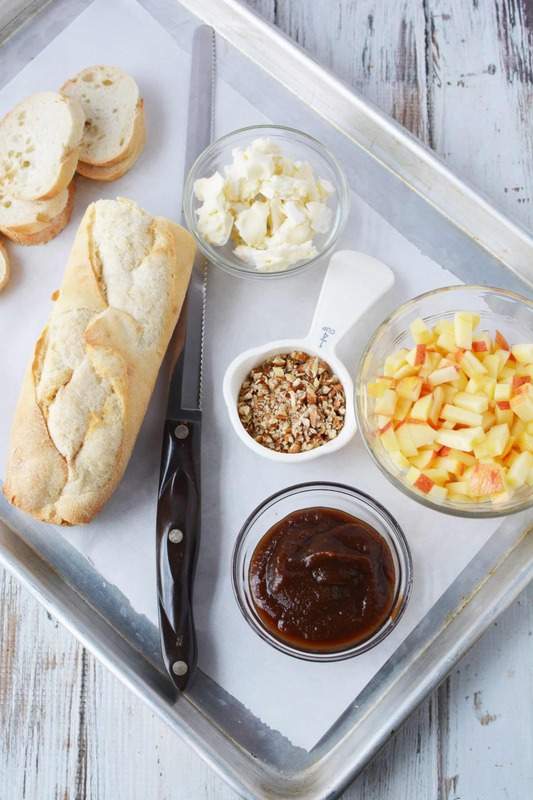 Add bread and top with a generous amount of apple butter. Break apart cheese and add on top of butter. 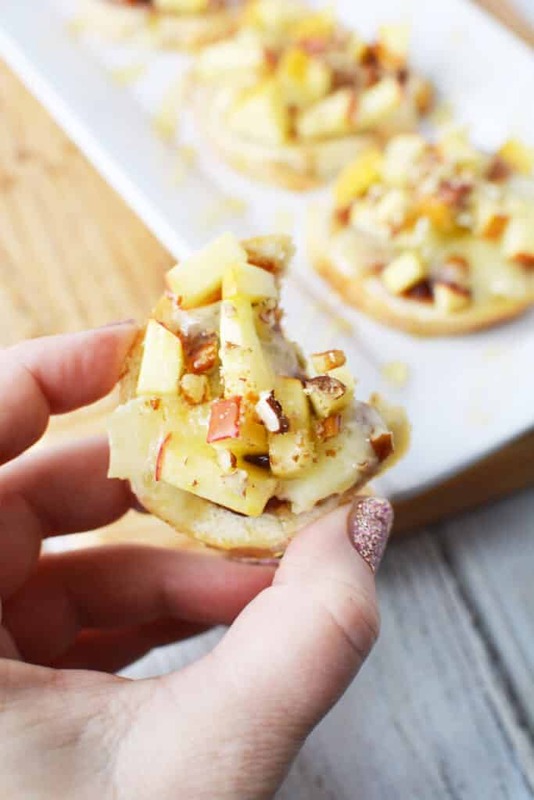 Sprinkle with chopped apples and pecans. Bake for 5-7 minutes or until cheese is melted. 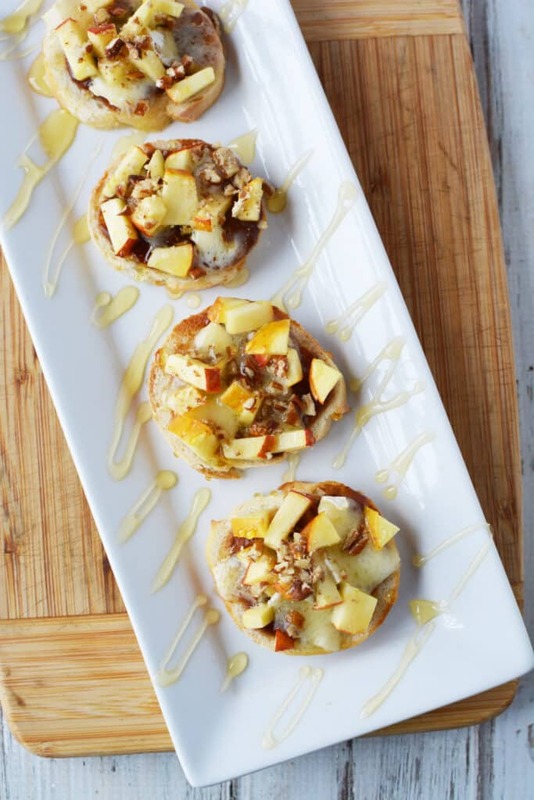 Drizzle with honey and serve. Don’t overthink that honey drizzle. Just go all over the plate at random. Absolutely delicious! What do you think of this recipe? 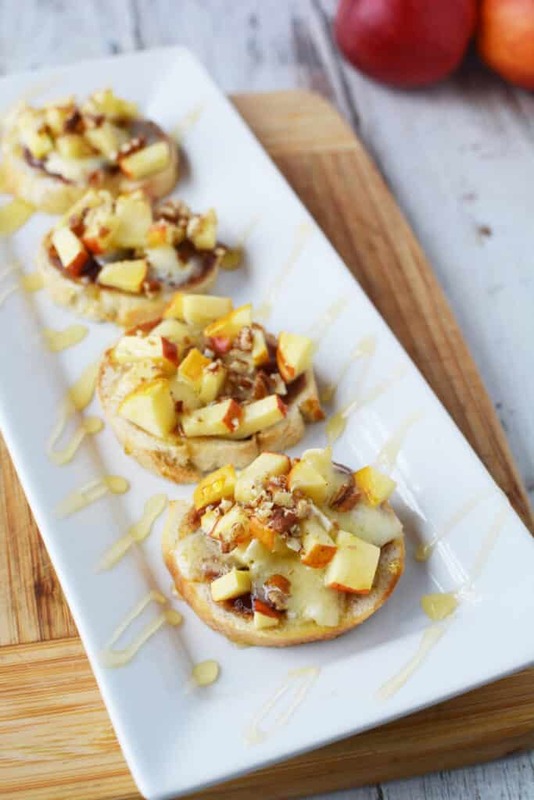 Something you’d want to try while hosting your next function? 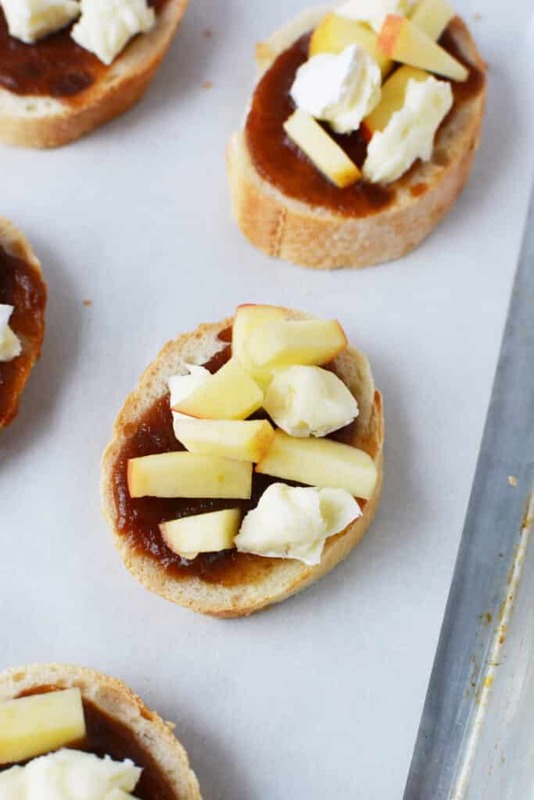 Appetizers are a GREAT way to warm up guests to what you have in store for them. It shows them how much you thought about the entire event. Is it a bag of chips? Or is it something as put together as this easy-to-make dish? I just love it! Hope you give this one a shot.